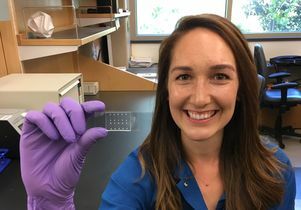 UCLA biophysicists have developed a new method to rapidly determine a single cell’s stiffness and size — which could ultimately lead to improved treatments for cancer and other diseases. 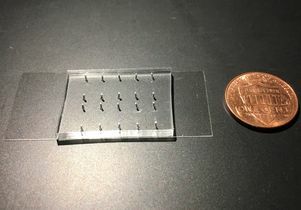 The method allows researchers to make standardized measurements of single cells, determine each cell’s stiffness and assign it a number, generally between 10 and 20,000, in a unit of measurement called pascals. Pascals can be used to quantify any material from a cell to rubber, wood, titanium and diamond. The method, called quantitative deformability cytometry, or q-DC, uses a small device (about one inch by two inches), which is made out of a soft, flexible rubber similar to the material used for contact lenses; it has integrated circuit chips, like those in computers. The researchers use gel particles containing molecules derived from seaweed — with a texture similar to Jell-O, whose stiffness they know — to force cells through the device. The cells squeeze through tiny pores, about 10 times smaller than the width of a single human hair. As the cells flow down through the device, the researchers take videos at thousands of frames per second — more than 100 times faster than standard video. 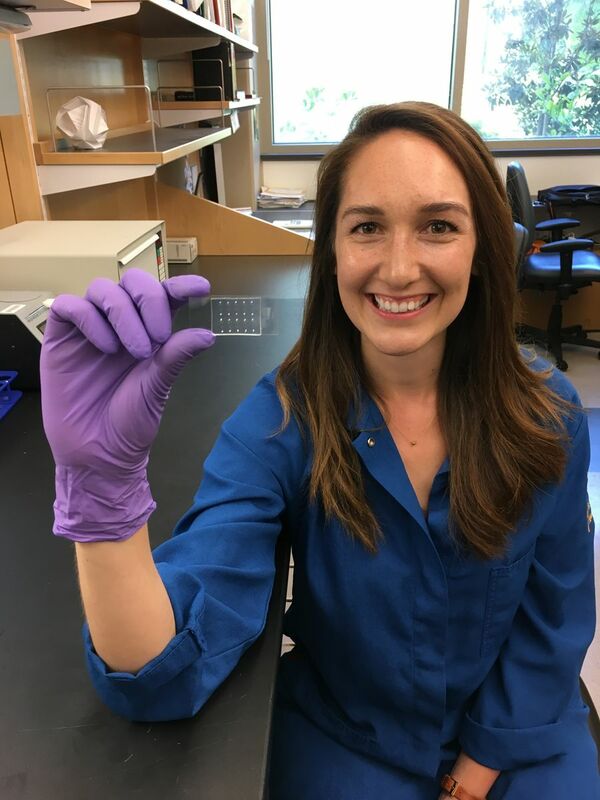 Kendra Nyberg, a UCLA graduate student in bioengineering and the study’s lead author, built the device and has placed billions of cells through it. For this research, which is published in Biophysical Journal, Rowat and Nyberg reported on breast cancer cells. Cancer cells are generally two to five times less stiff than normal cells. In the future, doctors could use the method to track a patient over time to see how a drug is affecting the patient’s cancer cells, Rowat said. Tumor cells could be extracted from the person or taken from a biopsy and analyzed through the device, which Rowat designed. The research will provide scientists with a more precise, standardized method to distinguish cancer cells from normal cells. It is also likely to enable doctors eventually to predict how invasive a cancer cell might be, and what drugs may be most effective in fighting the cancer. The method could also help reveal which proteins are important in regulating the invasion of a cancer cell — which could be useful because scientists possess molecular biology tools to block particular proteins. “By using q-DC, we can very rapidly assess how specific drug treatments affect physical properties of single cells, such as shape, size and stiffness, and achieve calibrated, quantitative measurements,” said Rowat, a member of UCLA’s Jonsson Comprehensive Cancer Center. 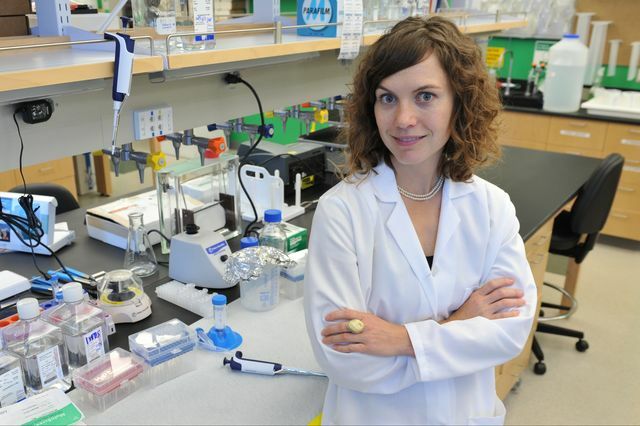 The researchers are now expanding the method to apply it to other types of cancer cells. They would like to better understand the relationship between a cancer cell’s physical properties and how easily cancer cells can spread through the body. Rowat’s hypothesis is that such properties as stiffness, cell size and a cell’s ability to change shape are important in enabling cancer cells to maneuver. Rowat and Nyberg can also measure other types of cells, such as sickle cells and red blood cells (which are altered in diabetes). 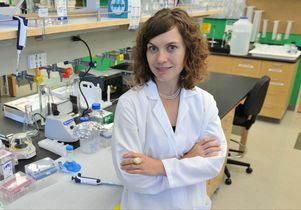 The research was funded by a National Science Foundation CAREER award, UCLA Life Sciences Innovation Fund Award, Broad Stem Cell Research Center, and the Farber Family Foundation. Rowat and colleagues reported in Scientific Reports in 2015 a screening method called parallel microfiltration that utilizes information about a cell’s physical properties to classify many different types of cancer cells.